Thereafter, you will be taken to Nagarkot. At Nagarkot, you get to sight the most fascinating and mesmerizing view of the sunrise. After Nagarkot, Dhulikhel is your next destination. Treading along the unexplored trails of Dhulikhel can achieve a very exhilarating and enriching experience. The Managing Director or The Manager of company will meet you in hotel and will brief about the trip. You should clear your dues before we proceed for the trip. You are free to relax or explore around the city in the very first day. Over night stay in hotel. Our representative will crown you with garland at the airport. The city guide will come next day in hotel and he will guide you in Patan Darabar square and Bhaktapur Darabar square. This day, the hotel gives you breakfast as their hotel menu, we have found all tourists satisfied with their traditional Newari breakfast. After breakfast, the city guide will come in hotel and he will guide you in Patan Darabar square and Bhaktapur Darabar square. 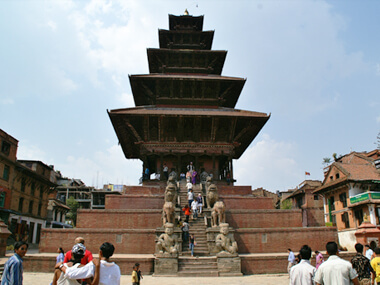 In the morning you, will start your sightseeing by visiting Bhaktapur Durbar Square city- Kathmandu valleys most medieval city also known as Bhadgaon and was one of the three Kingdoms of Mallas. It is famous for Lion gate, the picture gallery, the Golden gate and palace of 55 windows.It is situated at an altitude of 2175 m above sea level,east of Kathmandu. Over night stay in hotel. Early wake up call is given by the hotel staff to enjoy the sunrise. 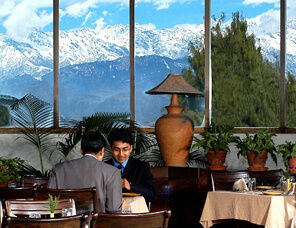 Have panoramic views of Himalayas from the hotel tower, then we drive back to Kathmandu. Every year, Thousands of pilgrims from Nepal and neighboring countries visit Boudhanath, particularly in winter and Pashupatinath temple. Pashupatinath temple is the biggest Hindu temple.